Several members of the SCDS community participated in the USA Ultimate National Championships in San Diego, California from October 19-21, 2018. Grades 7-8 Social Studies Teacher Mary Lowry was inducted into the Ultimate Hall of Fame, Grades 4-5 Social Studies Teacher Lexi Garrity played on the "mixed" (coed) team Mixtape, and Grades 6-7 Math Teacher Stephen Gussin played on the mixed team, BFG. The weekend also served as a celebration of Ultimate's 50th anniversary. One of the ceremonies included the Hall of Fame Awards Dinner, where Lowry was recognized for her decades of contribution to the sport. 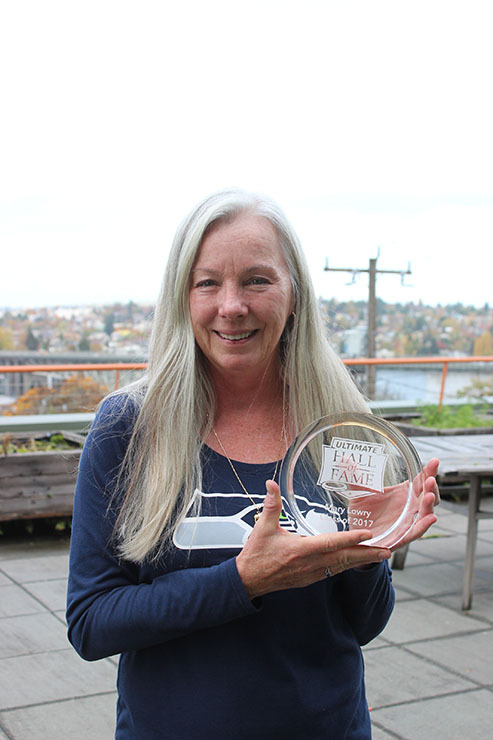 She has taught elective disc sports ever since she began teaching at Seattle Country Day School in 1983, co-founded multiple youth and recreational adult leagues, and organized one of the biggest Ultimate tournaments in the world. She is also a three-time FPA Women's Pairs World Champion, Mixed Pairs Champion, winner of the WFDF Women's World Overall title, and recipient of the Jorgenson Codington Award by the Freestyle Players Association. At the USA Ultimate National Championships in San Diego, she had the opportunity to watch the modern reiteration of her former team, Women on the Verge, now called Riot, and reconnect with teammates and alumni coach Rohre Titcomb '01. Lowry also supported her fellow faculty members, Lexi Garrity and Stephen Gussin, while they played on their respective teams Mixtape and BFG. In July, Gussin's team won the World Ultimate Club Championships in Ohio, where 48 teams from 25 different countries were in attendance. 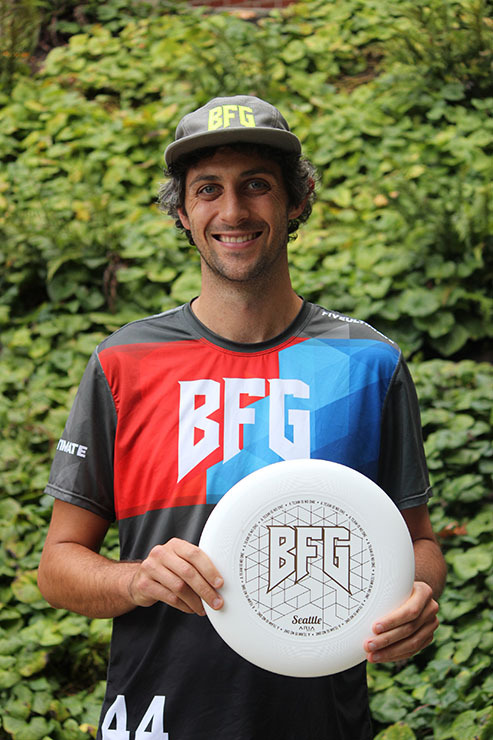 Throughout the week-long tournament, BFG competed against teams from South Korea, Kenya, Colombia, South Africa, Australia, France, USA, and Canada. Gussin says the event itself was "pretty crazy. The semifinals were interrupted at halftime due to lightning storms, and had to be resumed at an indoor soccer site 12 hours later...it was an awesome atmosphere with fans lining the field and echoing around the building." After watching several games at the USA Ultimate National Chapmionships, Lowry said what's remarkable about club-level play is the "universe point," or the last winning point. "The games were so close and the athletes were so good that it was a matter of one error that determined [whether] they would win or not," Lowry says. Garrity's team, which includes alumna Grace Noah '08, came in second place this year, continuing their successful streak at Nationals. "We won last year and were the first mixed team to ever win the Triple Crown Tour," Garrity says. 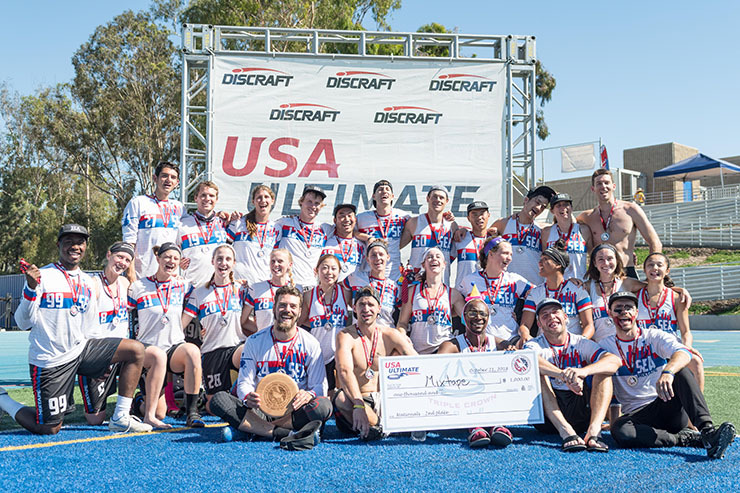 Ultimate is especially popular within the SCDS community, and these championships give students and alumni an opportunity to model their own playing after the achievements of their teachers. A local coach herself, Garrity notes that she "love[s] how Ultimate brings kids of all abilities and backgrounds together."